RAF VETERAN MIKE JENKINS GETS A BOOST FROM NATWEST! In this centenary year of the RAF, business intelligence lead and RAF veteran Mike Jenkins together with cofounder Army veteran Tom O’Brien (Chief Technical Officer) have been accepted onto the NatWest Boost programme for entrepreneurs and start-up businesses. I bet you don’t know how much NatWest helps start new businesses, from restaurants to manufacturers, all over the country – we didn’t until we were introduced to Boost! So, what is the ‘Boost’ programme? 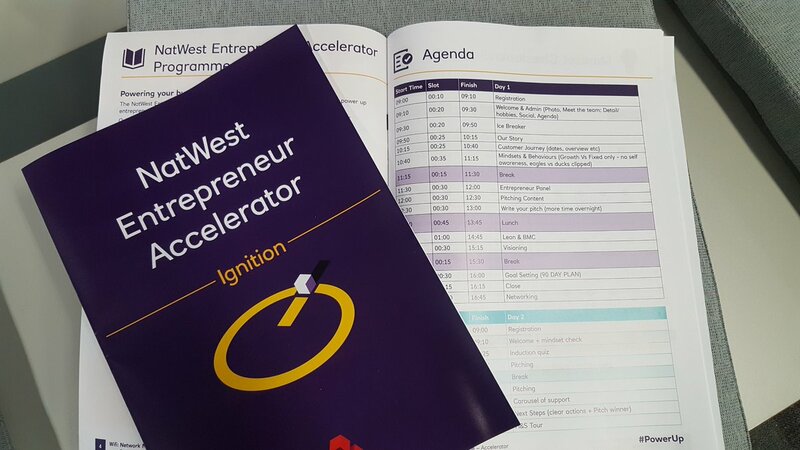 Run by NatWest, and with the highest levels of support, it’s the world’s largest free accelerator. Its, not for profit and with no charges or equity penalties nor do you have to bank with NatWest. Its objective is to accelerate startup to scale up businesses in all areas of business not just financial. Expert support and a collaborative working space with permanent or hot desks, interactive sessions to develop your business, events and support from NatWest and their partners (Dell, legal clinics for free and local experts like solicitors, councils marketing and branding). It all ends with a pitching day to the bank and potential customers supporters. The support to us and this opportunity from NatWest is particularly welcome and is testament to their corporate efforts to build the ‘esprit de corps’ that business entrepreneurs crave and energize the UK economy. For individual customers, we aim to improve financial understanding and fitness and provide them with appropriate, or tailored, tailored insurance and credit products. For new start-ups and existing small businesses, the platform should help mitigate business and commercial risks and support entrepreneurs and lenders through reporting functions that are both auditable and compliant. · Inspire you to start your own business.